Were happy to announce that our last event of 2018 will be held on 20th December @Jalou in Newcastle. 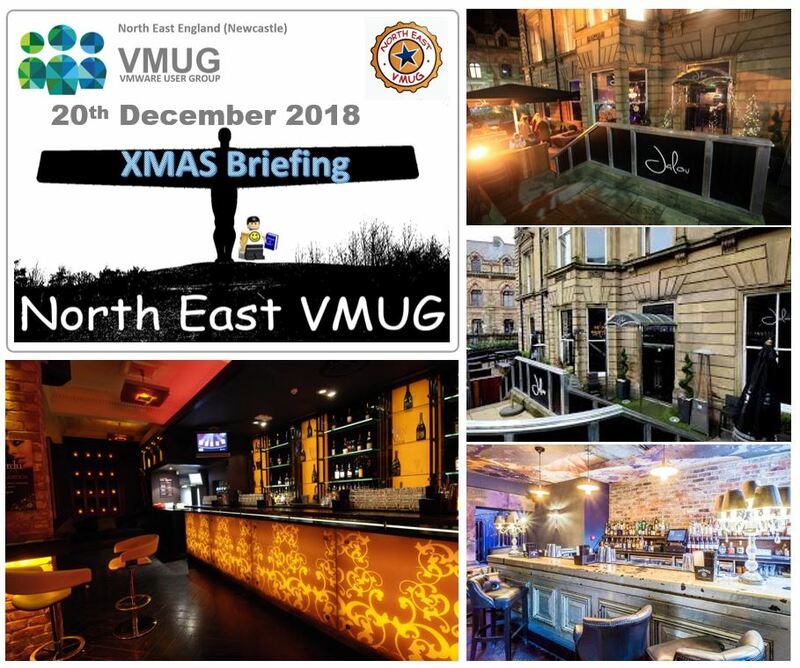 We will be opening the Doors @8pm till late for our North East VMUG community. please come along and help us celebrate the festive period in true NEVUG style.